Long-sightedness, or farsightedness, is an eye condition where you can see objects clearly at a long distance and they are blurry at a short distance. According to Harvard Medical School's Family Health Guide, it has not been scientifically proven that doing eye exercises will eliminate farsightedness, although if the exercises are done consistently, they may delay the need for corrective lenses. It is also helpful to keep your eyes from getting strained by taking breaks from work at close distance. The National Eye Institute says you should take care of your eyes by having regular exams to ensure that you are seeing clearly and living a healthy lifestyle that includes eating right, protecting your eyes and not smoking. An easy and effective exercise for long sightedness is to rest your eyes if you are doing a lot of close work such as on a computer. Practice the 20-20-20 rule to lower the strain on your eyes: Look away from your work, a distance of 20 feet, for 20 seconds, every 20 minutes. 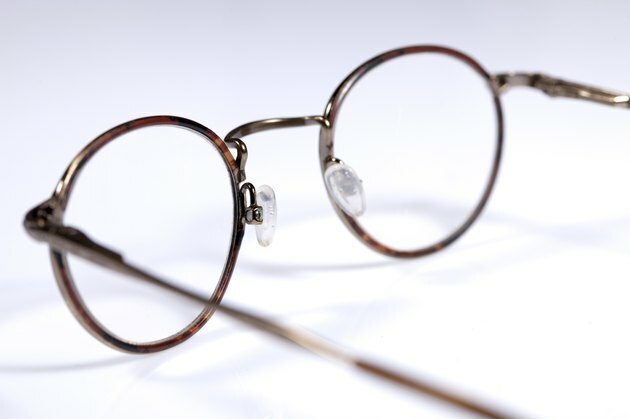 At the beginning of the 20th century, Dr. William Bates, a New York ophthalmologist, created a set of eye exercises targeted at improving eyesight, including farsightedness. Many people have provided testimonies of their effectiveness, although most of the medical community does not yet agree these eye exercises improve vision. Two Bates method exercises are palming and swinging. To practice palming, close your eyes and cover them with the palm of your hands to provide darkness without putting pressure on your eyes. Breathe in and out slowly, relaxing your body and concentrating on the darkness for about 10 minutes a couple of times each day. Stand up for the swinging exercise. Focus on an object in the distance and let your body sway from side to side. Blink while you sway to clean your eyes and help keep them moist. The See Clearly Method includes exercises that help strengthen and improve flexibility in your eye muscles. One consists of holding an item in your hand and moving it in all directions in front of your face, letting your eye follow the object around. The tromboning exercise involves holding a small item out at arm's length and moving it close to your face. Keep your eye on the object and breathe in while you bring the item close and breathe out when you take the item back to arm's length. Although these exercises are not widely supported by eye care professionals, they are generally known and used by many people to help strengthen the eyes and improve eye conditions. All About Vision: The See Clearly Method &amp; Other Programs: Do Eye Exercises Improve Vision?